Band Saws There are 7 products. 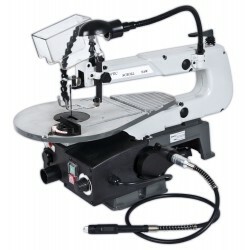 Nova EW-16 has the latest technology on the market, representing the scroll saw for demanding hobby and professional use. Speed 800 -1400 strokes / min. Variable speed control. Steady band saw for heavy use. The same top quality as BS-400 and BS-600 that has been for sale many years. Same as BS-315, but with bigger and more powerful motor. Strong construction. High-quality responses that are holding the regulations in place under heavy and continuous use. Accurate and robust saw for demanding use. Professional model, with which it is a pleasure to make cuts of any form. Motor: 2.2 kW, 380 V and 1400 rpm. The carpenter's dream machine. The same reliable quality as popular Nova BS-315, BS-350 and BS-400. This machine has high-performance 4 kW, 380 V three-phase motor. (1450 rpm) Cutting speed is 26 m/s. The new model and only available from us. 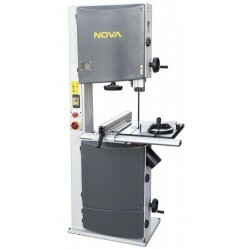 New large band saws, BS-700 and BS-800 offers the same superb quality as the smaller BS Series. BS-700 model’s maximum cut height is 430mm and the throat depth 700mm! BS-700 weighs 370kg, it has a precise response and a powerful 4kW motor. The new model in BS-series band saws. 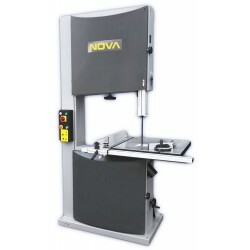 NOVA BS-800 is THE machine when you need a big cut. Maximum 50mm riving blade is suitable for this saw. Responses and high-quality support ensure accurate cuts. Powerful 5.5 kW motor ensures that there is always enough torque.